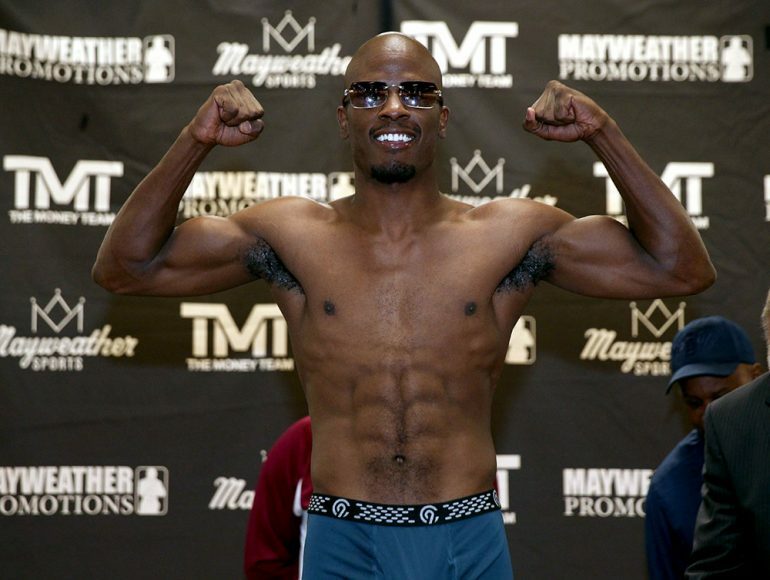 LAS VEGAS — Tony Harrison put himself back into the mix of the junior middleweight division’s upper half with a split-decision victory over Ishe Smith at Sam’s Town Hotel & Gambling Hall on Friday. After two nip-and-tuck opening rounds, Harrison got rolling when he dropped the Las Vegan with a picture-perfect short right hand in the third. Although Smith wasn’t hurt, it changed the complexion of the fight and forced him to be more offensive-minded for the rest of the night — in large part because he’s had terrible luck with the judges as of late, punctuated by a questionably wide decision loss to Julian Williams. Smith had his moments from that point. A sweeping right hook caught Harrison flush in the fifth; it could have ended the fight if Smith had knockout power. And there were spots where the 40-year-old would simply outwork his younger opponent. And that’s likely what earned Smith a scorecard of 95-94 on his behalf. But the other two judges who saw it 97-92 and 96-93 for Harrison likely saw the harder and more crisp punching from Superman. Much of it had to do with Harrison’s huge sixth and eighth rounds. After taking a low blow in the sixth, an incensed Harrison opened up the toolbox on Smith and hurt him near the end of the round with several power shots. But Smith, stone chin and all, survived the round and continued his end-of-round jawing at his younger opponent. But the second half of the fight saw the Detroit product with more snap on his punches as Smith simply couldn’t offer anything in return to force Harrison to respect him. Another Harrison barrage that started with a short left in the eighth round once again had Sugar Shay on shaky legs and a stoppage appeared close, which would have been the first of Smith’s nearly two-decade career. But Smith managed to survive and continued to press as Harrison decided to take the last two rounds off. When the scores were read, it was yet another narrow decision that Smith lost. He said that he’d continue to fight as long as he was competitive, and it’s almost certain that we’ll see Sugar Shay back in a boxing ring. As for Harrison, it was the victory he needed to prove that he’s a force to be reckoned with at 154. With the two knockout losses to Willie Nelson and Jarrett Hurd behind him and a modest three-fight winning streak in his pocket, Harrison will wait to see what’s next for his career. In the co-main event, RING No. 10-ranked cruiserweight Andrew Tabiti ended a relatively ugly fight with Lateef Kayode with a single uppercut to secure a sixth-round knockout. Kayode and Tabiti spent much of the fight in the clinch as Kayode pressed forward and Tabiti sought to control the distance. Neither fighter did much to entertain the crowd, but then it all ended ever so suddenly. With the two in close quarters and Kayode’s back on the ropes, Tabiti uncorked an uppercut that caught the Nigerian flush. Kayode (21-3) went down to his knees and watched as referee Kenny Bayless counted him out at the 2:05 mark. With the victory, Tabiti improves to 16-0 with his 13th knockout.